In other blog posts, both from this cruise and from previous cruises in the SSB programme, there have been references to the National Marine Facilities technicians but few added details. So just who are these mysterious fellows and what do they do? National Marine Facilities Sea Systems (NMFSS) is the organisation who manage the RRS James Cook and the RRS Discovery and the National Marine Equipment Pool as well as providing technicians and engineers providing specialist support to NERC research cruises on both the NMFSS ships and other vessels. Jon Short preparing the trace metal rosette and Niskin sampling bottles. Photo: Callum Whyte. There are seven technicians from NMFSS on board Discovery for DY029; Rob (who looks after the mooring deployments and instrumentation), Alan (our mechanical engineer who looks after equipment ranging from deck winches to the machine that produces liquid nitrogen at -300oC), Jon (our IT expert, who makes sure that all of the vital data, from numerous instruments, is logged and recorded), Sam (who prepares and deploys the autonomous gliders) Robin and Colin (who are learning how to operate and maintain the two CTD systems on board) and me, another Jon (also looking after the CTD systems and, very loosely, in charge of the team). 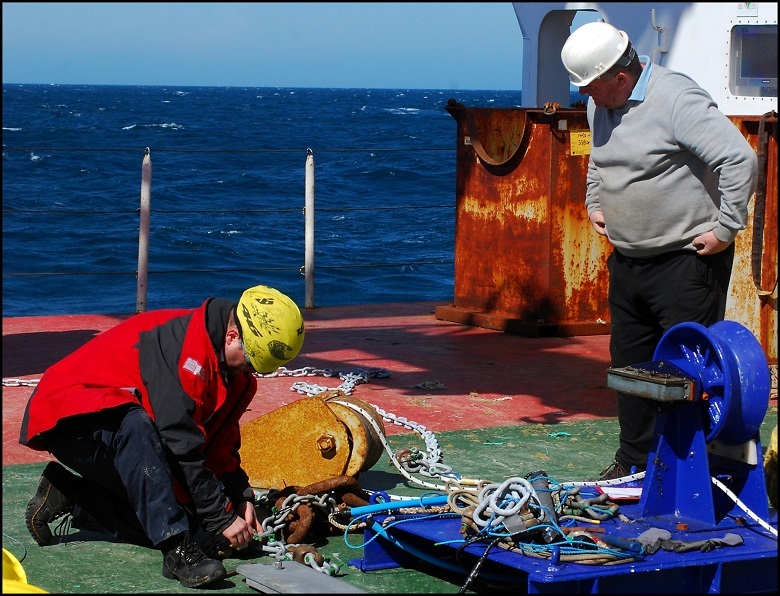 The NMF team preparing to deploy a mooring. Photo: Alex Poulton. 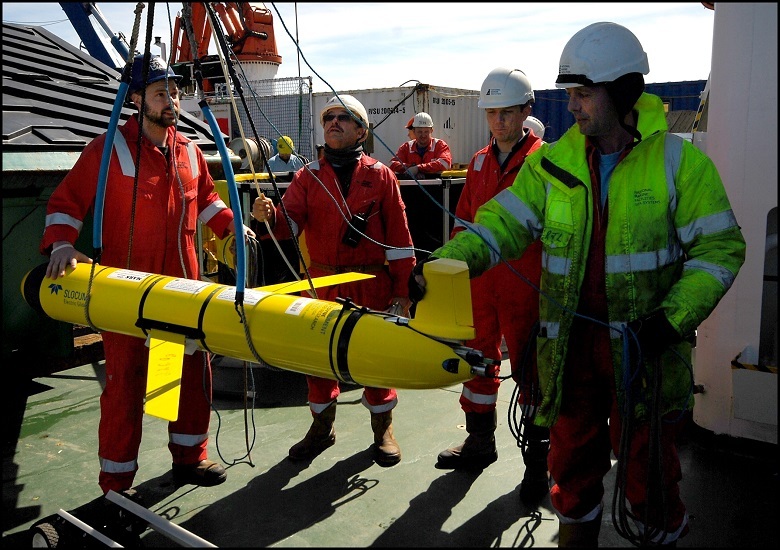 For each cruise supported by NMFSS the preparation starts at least six months before the sail date when we meet with the senior scientists involved and discuss with them what they want to achieve and which pieces of equipment from the pool are best suited to gather the data. This equipment is then prepared for use on the required research cruise. For DY029 this involved the design of moorings and the procurement of hardware for these moorings, payloads for the autonomous gliders to be identified and fitted, laboratory containers to be fitted out to the specification of the scientists involved and instruments, fitted to the CTD frame and on the moorings, to be calibrated to very precise standards. The NMF team and deck crew recovering a glider. Photo: Callum Whyte. Once this is all complete the technical team and the ship's crew "mobilise" the vessel. 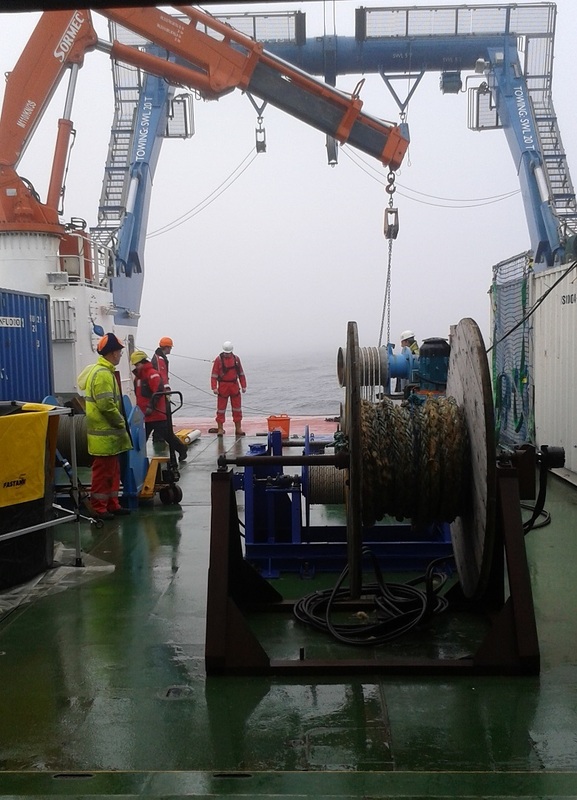 This involves loading all of the equipment required (including everything the scientists bring), installing it on board and commissioning it for use. 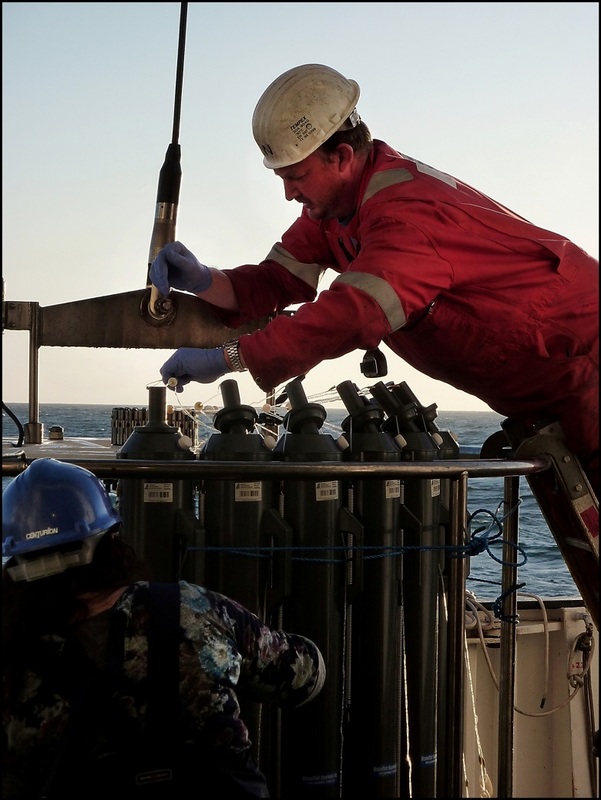 After the ship sails we provide 24 hour support, operating, maintaining and deploying equipment and making sure the scientific team have everything they need for a successful cruise. The NMF team preparing the anchor chains for the moorings. Photo: Callum Whyte.